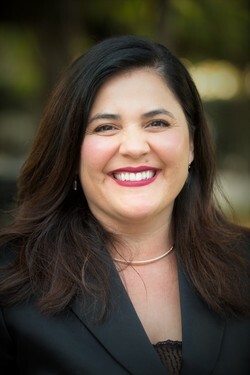 Michele Siqueiros, president of The Campaign for College Opportunity, will serve as the keynote speaker for Noche De Gala, which will be held from 7 to 9 p.m. Sept. 14 at Stephen F. Austin State University. NACOGDOCHES, Texas - Stephen F. Austin State University's Office of Multicultural Affairs is hosting Noche De Gala to celebrate Hispanic-Latinx Heritage Month from 7 to 9 p.m. Sept. 14 in the Baker Pattillo Student Center Regents' Suite A.
Dr. Griselda Flores, SFA assistant director for OMA, explained the importance of this event. "The Latinx population continues to increase, especially in Texas," Flores said. "It is critical to understand the diverse culture, history and heritage of this population and learn to appreciate and respect all it has done for this country, as well as the influence it continues to make in the Americas." Keynote speaker Michele Siqueiros, president of The Campaign for College Opportunity, will discuss the importance of learning and appreciating one's culture as it relates to college access. Siqueiros also will highlight issues affecting the larger Latinx community while motivating students to pursue their education and goals. At The Campaign, Siqueiros works to influence California policymakers and college leaders so more students can attend college and graduate. She also acts as a voice and advocate for students as she seeks to eliminate racial inequities in higher education. The Campaign's mission is to ensure all eligible and motivated students in California have the opportunity to go to college and succeed. Additionally, event attendees will have the opportunity to enjoy Latinx-infused music and performances that showcase the beauty and diversity of the Hispanic-Latinx culture, according to Veronica Weaver, OMA director. Tickets will be available beginning Aug. 28 at the information desk on the first floor of the BPSC. Admission is $4 for students and $6 for faculty, staff and community members. Dinner will be provided with admission. Attendees should dress to impress.